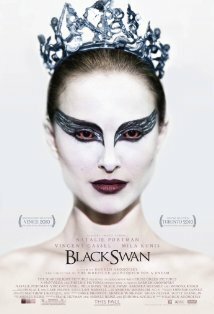 Black Swan is a pretty good psychological thriller. With the mind as the protagonist and expectations as the villain, the movie tells a suspenseful tale of suffering, opportunity and insecurity. Nina (Natalie Portman) lives with her controlling mother, desperate for the major break that can elevate her years of hard work to its rightful destiny as the lead of a ballet production. Just when she is able to quell her own fears and land the role, her insecurities explode in the form of a newcomer Lilly (Mila Kunis). As Nina tries to meet the director Leroy's (Vincent Cassel) demands for a different kind of perfection, she is forced to tap into an unknown side of herself. With her innocence, sanity and life in the balance, the question is whether Nina can learn to distinguish her angst from reality in time to save herself? Natalie Portman is exquisite as Nina - a tortured perfectionist, who has little of her self outside of being a dancer. She brings a certain desolate beauty through the movie, magnified by the intense scrutiny of the cameras as they rarely leave her alone. The remaining characters almost seem to tiptoe in and out of the scenes, demanding and whining, always in the background. There is an undercurrent of instability that runs through the whole movie, as fantastic images are woven through the narrative. It is scary in parts, not so much for the imagery, but more because they actually seem to make sense. The movie does not have much of a story to speak of, and never pretends it does. Pivoted around Nina, it is more of a dance, a ballet if you will. A ballet of the mind and the heart. A ballet that grips you at the beginning and threatens to never let go. There is so much of the movie vested in having the audience identify with Nina, that it does seem overwhelming in part. But thanks to some superb performances, the narrative always bounces right back. This movie is rated R, for more than just the scares. But it is an involved, adult, exploration of the psyche. A must watch.